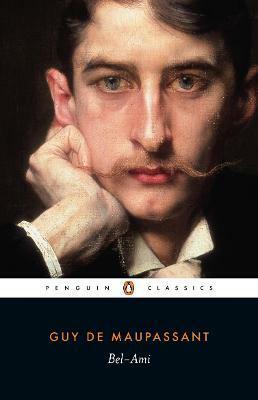 Guy de Maupassant's scandalous tale of an opportunistic young man corrupted by the allure of power, Bel-Ami is translated with an introduction by Douglas Parmee in Penguin Classics. Young, attractive and very ambitious, George Duroy, known to his admirers as Bel-Ami, is offered a job as a journalist on La Vie francaise and soon makes a great success of his new career. But he also comes face to face with the realities of the corrupt society in which he lives - the sleazy colleagues, the manipulative mistresses and wily financiers - and swiftly learns to become an arch-seducer, blackmailer and social climber in a world where love is only a means to an end. Written when Maupassant was at the height of his powers, Bel-Ami is a novel of great frankness and cynicism, but it is also infused with the sheer joy of life - depicting the scenes and characters of Paris in the belle epoque with wit, sensitivity and humanity. Douglas Parmee's translation captures all the vigour and vitality of Maupassant's novel. His introduction explores the similarities between Bel-Ami and Maupassant himself and demonstrates the skill with which the author depicts his large cast of characters and the French society of the Third Republic. Guy de Maupassant (1850-1893) was born in Normandy. By the late 1870s, the first signs of syphilis had appeared, and Maupassant had become Flaubert's pupil in the art of prose. He led a hectic social life, and in 1891, having tried to commit suicide, he was committed to an asylum in Paris, where he died two years later. If you enjoyed Bel-Ami, you might like William Makepeace Thackeray's Vanity Fair, also available in Penguin Classics. Guy de Maupassant was born in Normandy in 1850. By the late 1870s, the first signs of syphilis had appeared, and Maupassant had become Flaubert's pupil in the art of prose. He led a hectic social life, and in 1891, having tried to commit suicide, he was committed to an asylum in Paris, where he died two years later. Douglas Parmee is a well-known French translator.